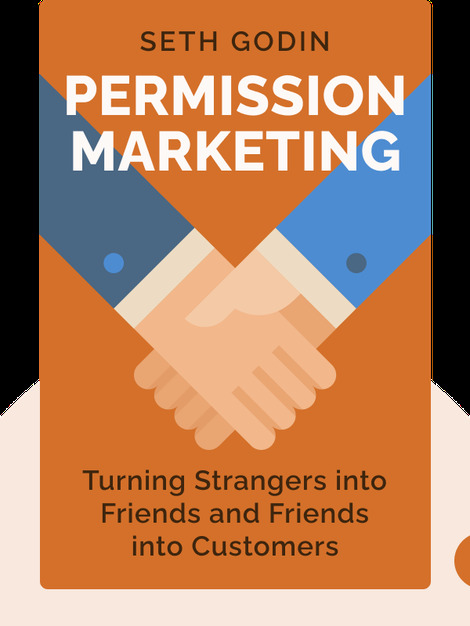 Permission Marketing (1999) confronts the conflicts and challenges that modern marketers face in the digital age and offers a viable alternative. It explains how the advertising landscape is filling up and how this makes traditional advertising ineffective. The author suggests that smart marketers no longer simply interrupt consumers but invite them to volunteer their time and become active participants in the marketing process. 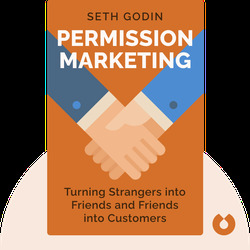 Seth Godin is an influential marketing professional, entrepreneur and bestselling author. He has also founded several successful companies, including Yoyodyne and Squidoo. Aside from Permission Marketing, he has written 14 other books based on his professional experience, including Purple Cow and Tribes.